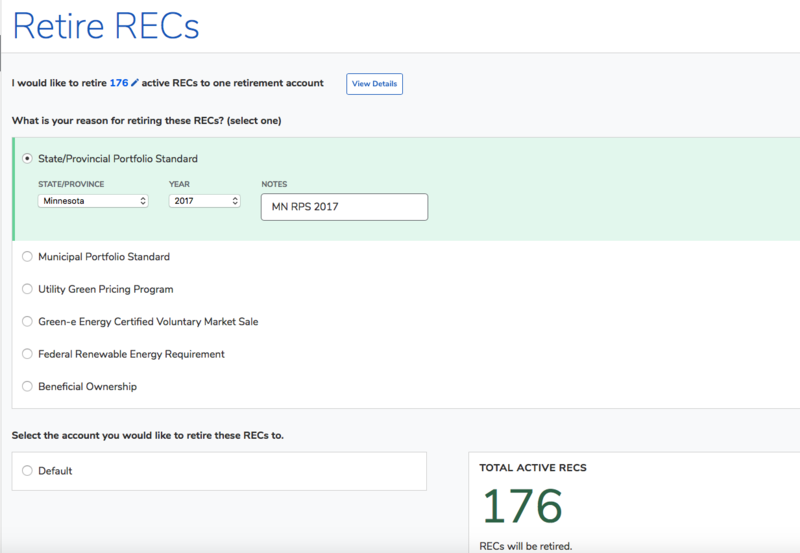 How to retire RECs in the M-Rets system. RECs may be retired for many reasons. Read more about the reasons. To retire RECs, follow this simple process. 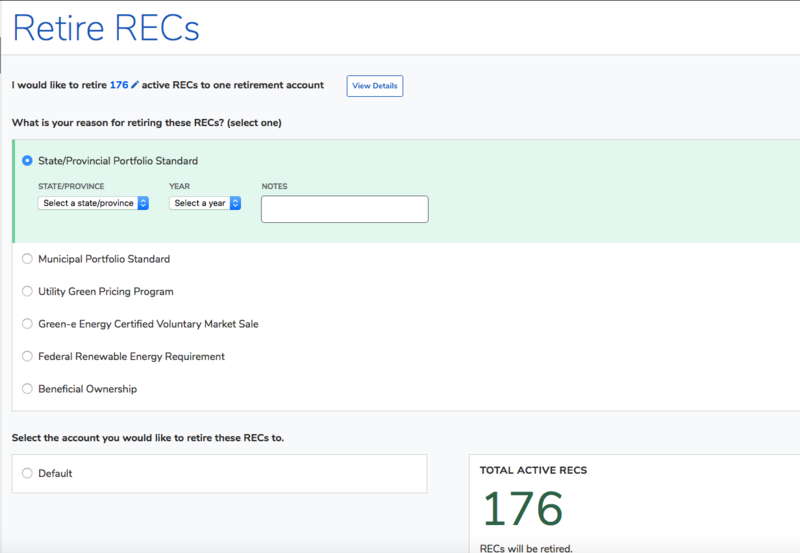 Select the REC batch(es) from the Active tab of the REC section, then select "Retire". 2. On the next screen, select your reason for retiring these RECs. 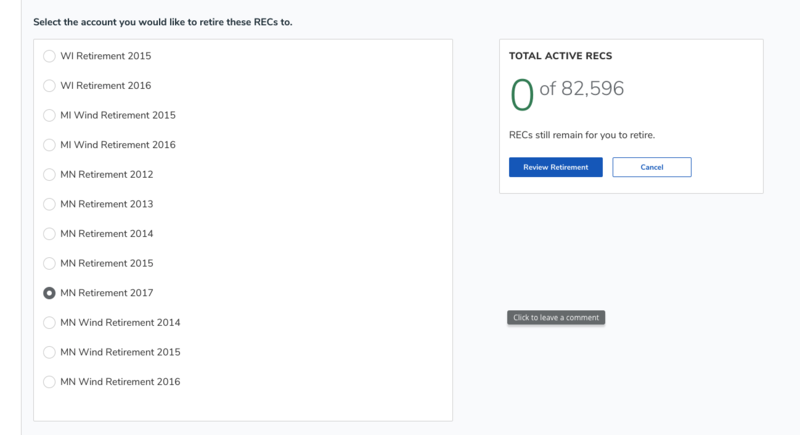 All REC retirement types allow the user to input notes that become a part of the retirement record in the database. 3. For your selected reason, complete any further selections the system prompts you for. 4. Next click "Review Retirements". 5. Carefully examine your retirement details for accuracy. If everything looks correct, select "Complete Retirement." 6. Upon completion, you will see a confirmation screen that your retirement was successful. Here you can also select "View Transaction History" to download a retirement record document.